How has a “broken mindset” kept you from all that God created you to be? 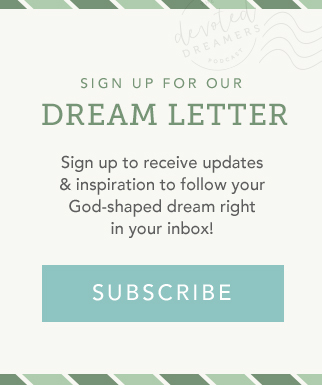 Or from the dreams He created you to pursue for His Kingdom? 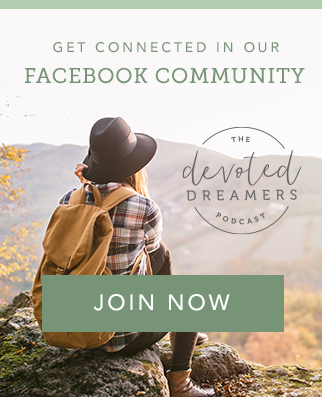 If you’ve been with us for the last two episodes of On-Air Coaching between me, life coach Cynthia Culver, and Devoted Dreamers listener Lois Martin, maybe you’ve begun to consider your answers to these two questions. Or, if you’ve started working through the homework (by the way, you’ll find it here, with additional info here and here about how to get the most out of the worksheets) maybe you’ve begun to identify what your broken mindset looks like, feels like or sounds like. Or maybe you’re a little behind, and if that’s the case, you'll want to listen to Session I or Session II before you listen this one, for a little context. As you hear Lois talk about how God has worked through the coaching process and what she’s learned along the way, consider what actions have (or could) help you trigger the mindset of truth in you, instead of the broken mindset. By the way, if you’ve already requested access to the Broken Mindset Worksheet, you’ll automatically receive the homework for Session II one week after receiving the first email.